Could you please help me identify an artist that made this print, ukioe did not find any matches on it.. 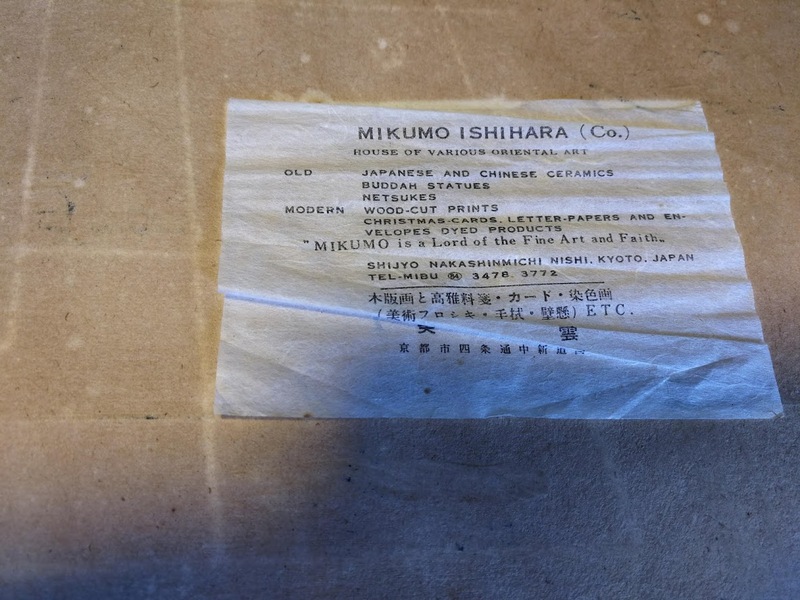 It is signed mikumo but i am finding out that it is a publishing house and not an actual artist. 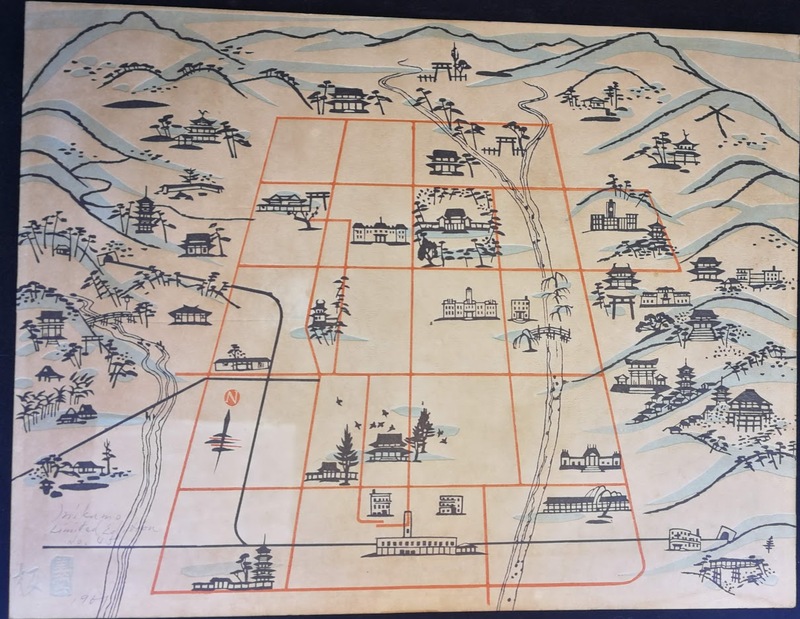 The print shows the map of Kyōto. Inagaki Nenjiro 1902-1963 established his name as dye-artist. From 1958 professor at the Kyoto Municipal Fine Arts College. He designed only a few woodblock prints in the 1950-60s which were published by Mikumo Mokuhansha in Kyōto. 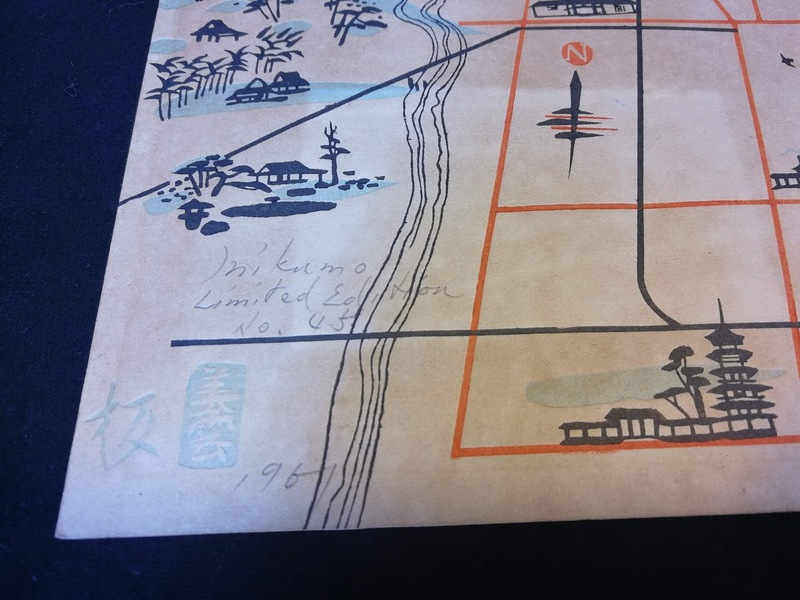 Thank you for the identification, I was not able to find a photo of this print online to compare and evaluate the condition of the print.